Consumer law is designed for providing the consumers proper right for getting the right things from the market. The Consumer law also provides the protection to the consumers from not being cheated by the frauds. It ensures the rights of the consumers and the fair trade among the business owners and the customers, competition among the various companies as well as the accurate information of the market. The Australian Consumer Law is helpful for the Australian consumers to do a fair trade and it also provides the consumer protection in Australia. The Australian Consumer Law was implemented on 1 January 2011, which applies across the whole Australia for the protection of the consumer rights. Here, in this assignment, the Australian Consumer Law is analysed on the perspective of the Thermomix Appliance incidents. The users of the Thermomix products have faced several injuries in the Australia. Total 87 cases are come in front of the media. This assignment helps the customers to get proper information about the customer's law for the consumer safety and protection. This is helpful for them to analyse the possible rights as well as to get the information about the roles of the manufacturer and the distributor to provide greater safety to the customers. 1. Explaining the liability in the tort of negligence that the manufacturer and the distributor of the Thermomix appliance through the relevant common law. The Thermomix appliance incidents have become a major issue for the customer safety in the Australia these days. As per the news, total 87 people were reported injured by the Thermomix cooking appliances. From minor burning to major burning, the customers of this cooking appliance have blamed that the Thermomix products are unsafe for the uses. The series of the products TM 31 and TM 5 are most dangerous for the uses. As per the research, 18 people have received the treatment from the doctors for the injuries, which are caused by the exploded of this appliance (Svantesson & Clarke, 2013). About 8 people were hospitalised for the burns from this appliance and six of the total people were treated in the specialist burns unit in the hospital. These incidents have created a fear and distrust among the customers for using the cooking devices. The customers of these cooking tools are denying using the TM 31 and TM 5 for preparing their meals. According to Harris (2013), the manufacturers of a product should have the liability for providing the safety and protection to the customers. They should keep in mind that no consumers might harm from any kind of incidents. The manufacturers and the distributors should have the product liability and they would be responsible for any kind of injuries from the products of a company. Here, the manufacturer of the Thermomix Company has neglected the safety and protection norms of the customers. As per the opinion of Azad (2013), the manufacturers and distributors are always responsible for taking care of the customers. They should provide a safe and accident free products to the customers. The negligence of the manufactures or the distributor can be the cause of the loss or the damage to the customers. Here, in this case, the manufactures of the Thermomix Company do not take care of the customers while manufacturing the products. It has caused the several burning injuries among the customers in Australia. The manufacturers of this company are responsible for all the injuries. Barker et al. (2012) opined that not every organisation should breach the duty of care. The concept of breach of duty is the duty of care towards the customers provided by the manufactures of the company but they do not maintain proper regulation for safety and protection of the customers. Bunn & Douglas (2014) stated that the breach of duty in a case of negligence is mainly occurred when an individual or the responsible persons fail to take care of the injured person. This standard case is slightly different from the certain types of personal injury cases. As per the case study, the manufacturer of the Thermomix kitchen appliances do not properly maintain the care for the customers in Australia, which has created severe injuries and burn cases in Australia. According to Stuhmcke & Stewart (2014), the tort law of negligence explains the loss and damages caused from any kind of incidents. The manufacturing company is directly responsible for any kind of health injuries or any other injuries of the customers. If a company do not follow this, this is considered as the loss or damage of the breach. The Australian Consumer Law provides the proper guidance to the customers to deals with this kind of incidents (Lo, 2014). 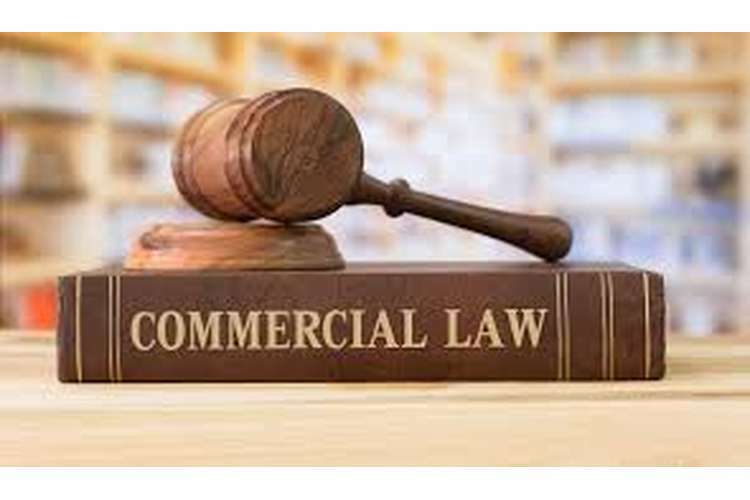 This law also explains the duties of the business organisations to provide proper compensations for the loss or damages of the customers caused from the harmful incidents while using the company’s products. In the case of the Thermomix, any kind of rules and regulations created by the Australian Consumer Law are followed. The manufacturers and the distributors of this company do not follow this law while manufacturing the products for the customers. As per the case study, the customers have claimed that the unlocking system of the machines is not properly manufactured. This has created the spilling out of the liquids and mechanical failures. These manufacturing faults have also created several burn injuries among the customers. Here, the Thermomix Company do not follow the duty of care properly and the breach of the duty of care as well as the breach of loss or damage was happened in this case. According to Law, Wong & Yip (2012), the tort of negligence explains the customers as well as the manufactures the duty of the care as well as the effect of breaching the duty very carefully. In Australia, the Australian Consumer Law provides a proper guidance for providing special care and safety for the customers. As per the Australian Consumer Law, every customer has the right for getting the detailed information about the manufacturing process of the appliance as well as the process of how to handle this. The company would be responsible for any kind of problems, a customer has faced while buying or using the products. As per the opinion of Bruwer & Rawbone-Viljoen (2013), the Australian Consumers Law explains that customers have the right to know about the right of the business of a company under the law. The customers have the full authority to make a complaint against the products or services of an Australian Company, if that customer is injured while using the product of the company. This law provides a strict rule for delivering better services and safety measures for the customers in Australia. In the case of Thermomix kitchen appliances, 87 customers were injured for the manufacturing problems of the products. The incidents are mostly happening while making the hot liquids through the products of this company. The lid of the TM 31 and TM 5 is not properly made. As per the opinion of the customers, the two products have different faults. The lid of these two products blows off while making the hot liquids in these appliances. Sometimes, the appliances explode very badly, which creates burn injuries among the customers in Australia. In this case, this is seen that the Thermomix Company do not properly follow the rules and regulations for manufacturing the products of this company. The customer service of this company is not too much well. The customer service of the Thermomix Australia was extremely disappointed when the customers were severely injured and burnt. Few customers complained that they felt bullied and ignored while the customers created a complaint against the safety services of this company. Most of the customers complained that the authorities of Thermomix Australia was behaved with them as they are the main reasons behind these injuries was the customer's fault. The research said that 53 customers complained against the manufacturing process of the Thermomix. However, only 5 customers were happy with the services provided by this kitchen appliance company. A large number of customers said that they did not get any kind of responses from the manufacturer or the distributors of this company. On the other side, so many customers who were badly burned also did not get any kind of responses from the authorities of the Thermomix Company. This is also seen that most of the customers have found that the manufactures as well as the distributors showed bad attitude towards the customers who complained against this company. The authorities of this company do not provide proper information to the customers about how to handle those kitchen appliances as well as the results of the tests of the products for measuring the safety and protection of the customers. As per the Australian Consumer Law, the customers can take actions against the bad behaviour of the authorities of the Thermomix Company. However, the customers are bound to the Thermomix Australia non-disclosure agreement. This agreement offers little protection to the customers. Beside this, this agreement provides an excessive grants and rights for the Thermomix Australia (Banks et al. 2015). The customers have claimed that most of the consumers were asked to sign Non-disclosure agreement for getting the remedies or the compensation from this company. This kind of agreements can reduce the strength of the consumers for taking an action against the accused company. The Australian Consumer Law explains that no company can create this kind of agreement which will only provide benefits to the company. Every company has the responsibilities to see the customer benefits as well as the safety and protection of the customers in Australia. The Thermomix Company has to compensate both the economic damages and the non-economic damages of the customers who are severely affected and injured from explode of the appliances. In the recent days, the Australian-based company, Thermomix has faced a major problem in Australia. Most of the customers have claimed that the kitchen appliances of the Thermomix such as TM 31 and TM 5 exploded and injured a numerous numbers of customers in Australia. As per the recent investigation of the Australian Competition and Consumer Commission, there are so many safety complaints and the objections against the products of this company. Total 83 injury cases are reported among them some of the cases are the severe burn. The Australian Competition and Consumer Commission created an investigation to know whether the products of the Thermomix have the faults or not. The Commission considered the Thermomix as the guilty about the several injury cases happened for the products of this company. Total 87 customers were injured for the faulty products of this company. 18 customers were severely burned and they had to take some medical treatment from the hospital. The products named TM31 and TM 5 are mostly dangerous to handle as per the research said. Despite of taking any remedies on these issues, this company has requested the users to sign the nondisclosure agreements for not disclosing the incidents in front of the media. The customers have complained that the Thermomix Australia Company do not follow any consumer law to provide safety and protection to the customers of Australia (Lees & Winchester, 2014). In part 3-5 of the Australian Consumer law, there is a proper guidance for both the company and the customers to provide a safe and protected life. Part 4 of the Australian Consumer Law explains that this law takes important actions against any kind of breaches of the law. The breaches of the law are considered as the criminal offence in the Australia. In the part 5 of the Australian Consumer Law, this law provides the enforcements powers for using the consumer law regulators by the customers in Australia. This part explains the civil penalties and the remedies for the breaches of the laws. As per this law, the customers of Australia can seek a refund or the replacements if the suppliers fail to provide the refund and replacements to the customers (Meyer et al. 2012). Beside this, the Australian Consumer Law explains that customer can get up to $40,000 compensation if the products or the services are not good of a company and it can cause the injuries of the customers in Australia. No company can provide the wrong information to the customers about any products or the services of a company. If a company misguides the customers with the wrong information, the company has to pay a huge amount of compensation to the customers. As per the Australian Consumer Law, the Thermomix has to pay the proper compensation to the customers of Australia for the huge injuries caused by the products of this company. This law has set some statutory rules for dealing with the liabilities of the claims of the loss or damage of the customer (Barker et al. 2012). The Australian Securities and Investment Commission Act 2001 mainly reflect the protection and safety of the customers so the customers can be treated properly from the injuries of the products and services of a company. Customer law has become so much helpful for the customers to take a proper action against the loss or damage caused by the products or services of a company. The consumer law explains the rules and regulations for both the companies and the customers for doing the fair trade between them. This is helpful for the customers for not being cheated by the fraud or misguided with the wrong information about the products or services of a company. This law takes a strong action against a company in Australia if the safety and the protection of the customers are highly affected by the products or the services of a company. As per the research of this assignment, the customers of Thermomix Company have claimed that the manufacturing process of the products of this company is not good at all and it has created several burn injuries among the customers in Australia. The tort of negligence is analysed on the perspective of the Thermomix case to get a proper guidance about the liabilities of a company towards the customers if the products or services of the company injure them. The possible rights for the customers under part 4 and 5 of the Australian Consumer law are also discussed here to provide proper information for taking an action against the companies who breach the duty for care of the customers. Azad, M. A. K. (2013). Development of Consumer Protection Law in Bangladesh: An Empirical Study. Journal of Business, 34(1), 130-132. Banks, M., Marston, G., Russell, R., & Karger, H. (2015). ‘In a perfect world it would be great if they didn't exist’: How Australians experience payday loans. International Journal of Social Welfare, 24, 137-47. Barker, K., Cane, P., Lunney, M., & Trindade, F. (2012). The law of torts in Australia. Oxford: Oxford University Press. Bruwer, J., & Rawbone-Viljoen, C. (2013). BYOB as a risk-reduction strategy (RRS) for wine consumers in the Australian on-premise foodservice sector: Exploratory insights. International Journal of Hospitality Management, 32(3), 21-30. Bunn, A., & Douglas, M. (2014). Breaking new ground? Nuisance, negligence and pure economic loss in Marsh v Baxter. Torts Law Journal, 22(1), 160-182. Debnath, A., & Mazumdar, M. M. (2015). An evaluative study on consumer rights in the context of business. International Journal of Humanities & Social Science Studies (IJHSSS)-ISSN, 33(1), 2349-6959. Harris, B. (2013). Economic Cost Provisions in Fixed-Rate Home Loan Contracts and Breaches of Australian Consumer Law. J. Pol. & L., 6(1), 90-95. Law, D., Wong, C., & Yip, J. (2012). How does visual merchandising affect consumer affective response? An intimate apparel experience. European Journal of marketing, 46(1/2), 112-133. Lees, G., & Winchester, M. (2014). Do customer profiles change over time? An investigation of the success of targeting consumers of Australia’s top 10 banks–2009 and 2011. Journal of Financial Services Marketing, 19(1), 4-16. Lo, S. H. (2014). A Parent Company's Tort Liability to Employees of a Subsidiary, London: Routledge. Meyer, S. B., Coveney, J., Henderson, J., Ward, P. R., & Taylor, A. W. (2012). Reconnecting Australian consumers and producers: Identifying problems of distrust. Food Policy, 37(6), 634-640. Stuhmcke, A. G., & Stewart, P. (2014). High Court Negligence Cases 2000–10. The Sydney Law Review. 6(1), 250-267. Svantesson, D., & Clarke, R. (2013). Trade Practices Act: A Hard Act to Follow: Online Consumers and the New Australian Consumer Law Landscape, The. James Cook UL Rev., 20(2), 80-85.